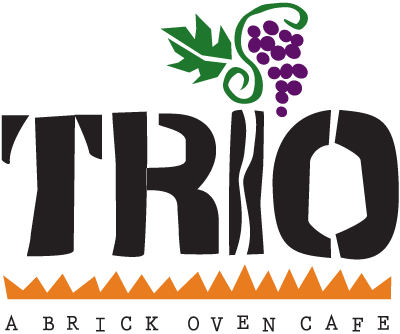 In the heart of historic downtown Greenville, Trio welcomes you with its unique atmosphere of handcrafted gas lanterns lining rustic brick walls. An eclectic fare of gourmet wood-fired pizzas are a specialty, with sauces made fresh daily and in such intriguing combinations as roast chicken with basil pesto. A wide variety of homemade dishes like Roma & Sun dried Tomatoes with Basil Pesto are another specialty of the house. Smothered Rotisserie Chicken as well as a variety of wraps and sandwiches round out the menu. An extensive wine list offers over 25 wines by the glass. Enjoy your meal outdoors, weather permitting. Get to know our owners, Steve and Kip, in this great piece from Greenville News.